to coordinate functions of the Illinois FFA Center to more effectively support the member organizations. to annually evaluate the position performance of the Executive Staff of the Illinois FFA Center. to review, evaluate, and recommend capital equipment expenditures for the Illinois FFA Center. to establish priorities at the Illinois FFA Center relative to assisting related support organizations. To be ultimately responsible for evaluating, promoting, hiring, and terminating Illinois FFA Center personnel. The Illinois FFA Center Administrative Council chair position is held by the IAVAT past president. For contact information, click here. FCAE is a state project administered through the Illinois State Board of Education in cooperation with and advisement by the Illinois Committee for Agricultural Education (ICAE). FCAE addresses the aims of Public Act 84-1452 involving the implementation of identified goals for improving education in and about Agriculture in Illinois. The IACCAI is the statewide professional organization for community college instructors of the agriculture industry. 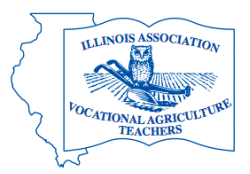 Its primary objective is to promote the interest of education in agriculture in the State of Illinois. Promoting education in and about agriculture. Addressing the changing needs of agricultural education to strengthen its viability and competitiveness to serve industry. Developing investment opportunities involving human and financial capital for the benefit of all groups having interest in agricultural education. 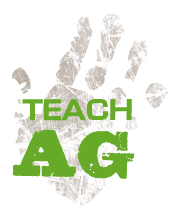 The National Teach Ag Campaign is an initiative to bring attention to the career of agricultural education, get students thinking about a possible career in agricultural education, and support current agriculture teachers in their careers. The student organization affiliated with agricultural education, FFA serves to promote premier leadership, personal growth, and career success through agricultural education. Following the three-circle model of education (classroom instruction, SAEp, and FFA), students are able to grow through hands-on learning experiences. Agriculture teachers rely on FFA Alumni to help them get more support from the community for their agriculture programs and to give them more time and freedom to do what they do best - teach kids.